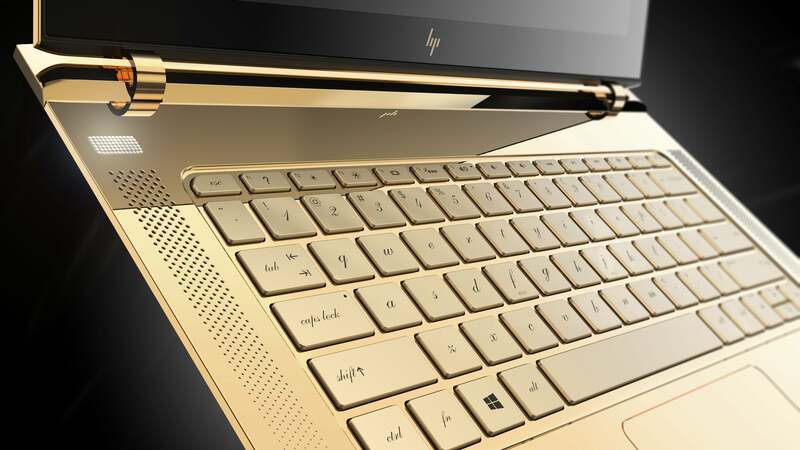 Guess how much HP sold its gold- and diamond-encrusted laptops for? Stop complaining about how much you paid for your laptop. 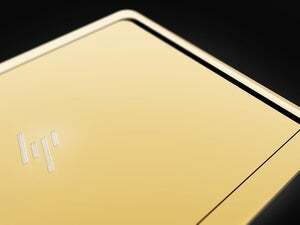 HP just sold two notebooks for the price of a luxury car. The three grand you spent on your fully configured laptop ain’t no thing. HP said Friday that it has sold two Spectre 13.3 laptops for more than $60,000. Yes, two laptops for the price of a luxury car. These aren’t standard laptops, though. The two in question were custom modified and blinged out with diamonds, gold and Swarovski crystals by renowned artists Jess Hannah and Tord Boontje. 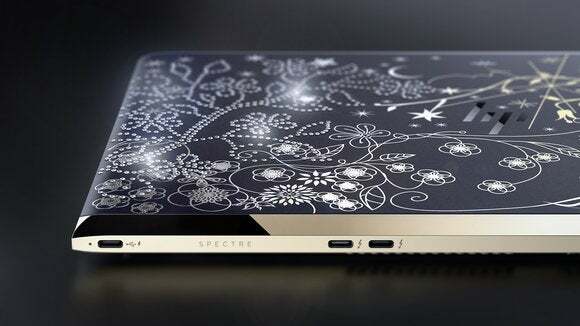 The rear of the Tord Boontje Spectre 13.3 also features 18K gold-plated accents. Only two of the custom laptops were made and auctioned off to benefit the Nelson Mandela Foundation during the Cannes Film Festival this week. HP didn’t detail how much each unit went for, nor who bought them, but the company did say both sold for more than $60,000. 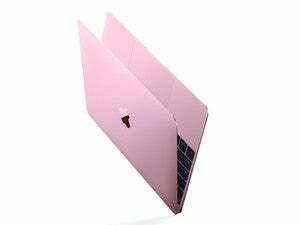 Specs of the laptops weren’t revealed, but I’d hazard a guess they were Core i7 Skylake machines with 512GB SSDs. The laptop the two are based on isn’t out yet, but those who didn’t show up at Cannes to make a bid can read our hands-on in the meantime. Auric Goldfinger? We just found your laptop.